2013 was the year I fell in love with travel. 2014 was the year I let that love take me all over the world. In the past 365 days since I started this blog, I traveled to three continents, nine countries and 22 cities. And that’s while being a full-time student, working 30 hours a week, interning and taking a summer class. From climbing to the top of a huge sand dune in the Sahara Desert, to losing 50 Euros at the Monte Carlo Casino, to listening to stories wild 55-year-old Welsh woman on the train on my way to Ireland, I’ve had a whirlwind of experiences, both challenges and delights. 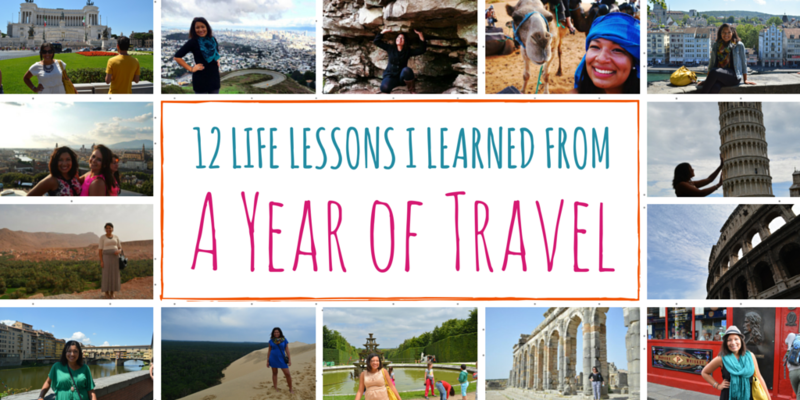 In honor of my one year anniversary of being a Young, Broke Traveler, I’m taking time to reflect on everything I’ve learned from traveling in 2014. I met so many kind-hearted people in Canada. When I left some souvenirs at my hostel, the housekeeper mailed them back to D.C. for me. It was a small deed, but unbelievably kind, and inspired me to pay it forward. Oh man, bliss. Musicians populated nearly every street corner and pub in Dublin. And where there was music, there was a crowd of people listening and applauding. Music brought people together, connecting them and making them happy in a way no other medium can. 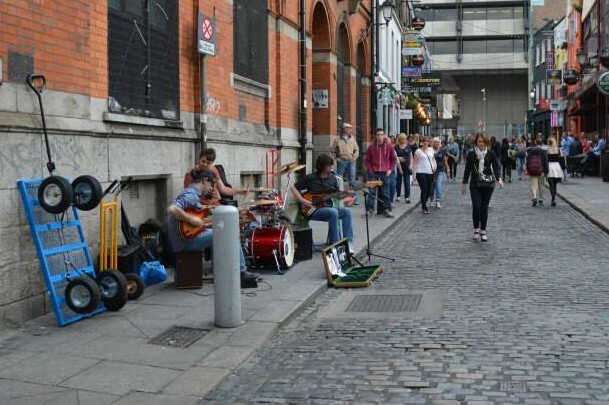 Musicians played on almost every street in Dublin. I thought I’d have a lot in common with Londoners given we speak the same language and are influenced by similar pop culture icons. I couldn’t have been more wrong. I found London to be as foreign as Spain or France, with many different customs. I was glad to be wrong – I wouldn’t have learned so much otherwise. Our Contiki tour guide told our group about all the famous people who applied for citizenship in Monaco but weren’t granted because they weren’t quite rich and beautiful enough. That’s ridiculous. Yes, Monaco is the most elaborate, beautiful, expensive country I’ve been to, but its culture of stuck-up-ness and policy of exclusion make it ugly. In the U.S., it’s so easy to get caught up in the fact-paced, goal-driven, individualistic mentality. In Spain, people are still goal-driven, but take breaks from work to spend time with family, walk the dog, play with the kids, rest and have a pitcher or two of sangria – all in one day. It’s the best way to make time slow down. 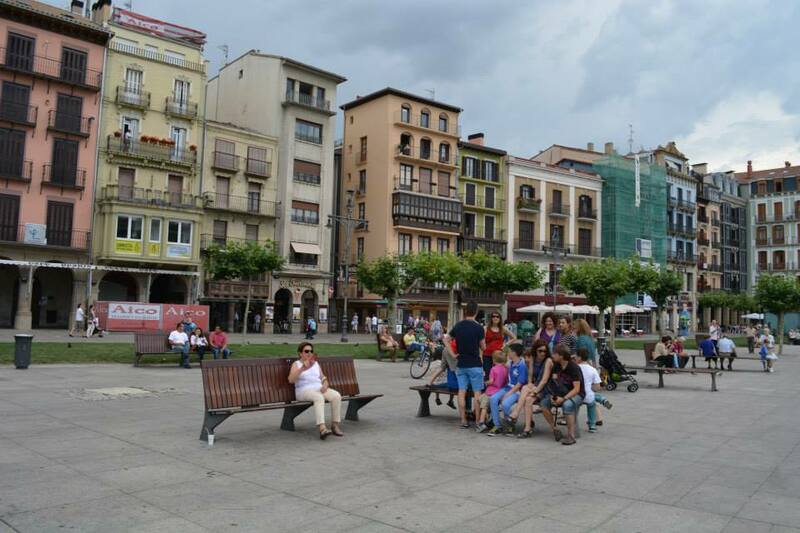 People in Spain enjoy a nice break in the afternoon. During the day, Zürich – one of the largest financial centers in the world– was bustling with sharply dressed business people on their phones, walking quickly, making business transactions. But those were the same people I saw at night, taking leisurely strolls by the water or drinking in the streets, cheering on Switzerland in the World Cup. Some of the happiest people in the world live in Morocco. While many live in poverty, they don’t wallow over what they do not have. Instead, they cherish what they do have — peace, love, trust, friendship and brotherhood – and that’s all they need. All anyone needs. 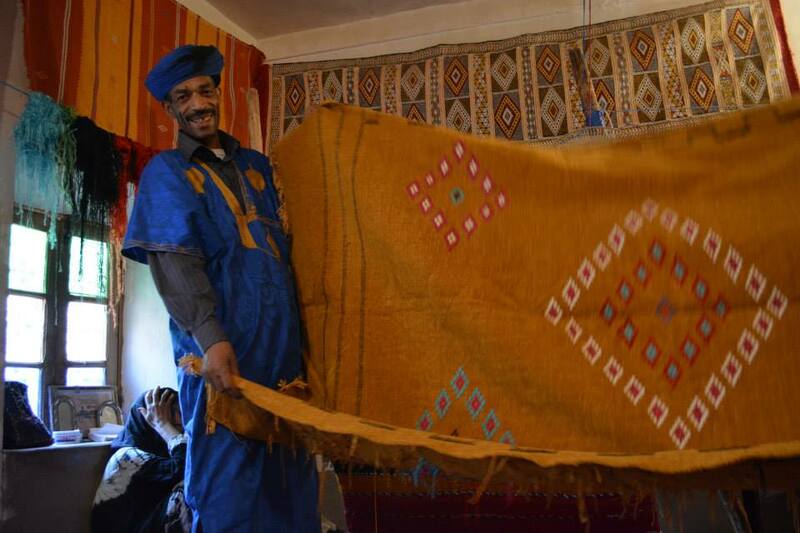 One of the happiest people I have met was this carpet craftsman in Morocco. In 2014 I became friends with 29 Australians, 8 Kiwis, 7 Canadians, 5 South Africans, 5 Chinese, 3 Moroccans, 2 Japanese, an Italian, an Irish, a German and a Scott (they all spoke English). And while we came from 5 continents, we laughed at the same jokes, appreciated tights hugs, wore jeans, enjoyed a good beer (or glass of wine) and ate French fries, and hated to say goodbye. I found I have more in common with people from other countries than we have differences — because we’re all humans. Now I can’t wait to meet other people and find out what else we have in common. I’m more competent than I think. My trip to Europe in the summer was my first solo trip. And while I met up with a friend in London, and joined a tour group for 15 days, there were several days when I was completely on my own. Though I had some confidence in myself, I was nervous about traveling solo through countries like Italy and Switzerland where I didn’t know the language. But I struggled through the challenges – like figuring my way around Zürich – and realized I am capable of more than I thought. And it was with the new-found confidence that I felt compelled to travel to and from Casablanca alone. It’s so true. I met so many kind French people, despite all the chatter that the French are rude; I felt safe in Morocco and met some of the kindest, friendliest people in the world, despite discouraging rumors about Islāmic countries; I saw productivity and achievement in Spain, despite claims that Spaniards are lazy and drink too much. The only way to truly know someone or someplace is to travel. Travel is everything. It’s how I learn about both the world and myself. I’ve been incredibly blessed to have visited as many countries and have met as many wonderful, unforgettable people as I did in 2014. I worked hard for it and I cherished every moment. Now I’m excited to see what 2015 brings. What lessons did you learn from travel this year? My girl…you are wise and insightful. You will go far! Thank you for taking me with you on your travels! FABULOUS POST! Your travels are fun and YOU my dear are teaching us lessons! Thank You and Happy New Year! Great list! #12 holds 100% true. I’ve recently started traveling and I have been almost completely wrong about every place that I’ve been so far. I came to London because I thought it was the most similar to America so you can imagine my wakeup call when I arrived. The cultures are totally different. Spain is also not as glamorous as I had always pictured it… from The Cheetah Girls movie. I think that this is the best way to learn; it’s good to be proven wrong. How inspiring – thank you for sharing these lessons learned from all those amazing countries! No. 2 is so true, live music in pubs in Ireland bring people together and puts everyone in a good mood; there’s nothing comparable. I haven’t been to Ireland in the last 9 years, but this has made me to want to go back and visit!